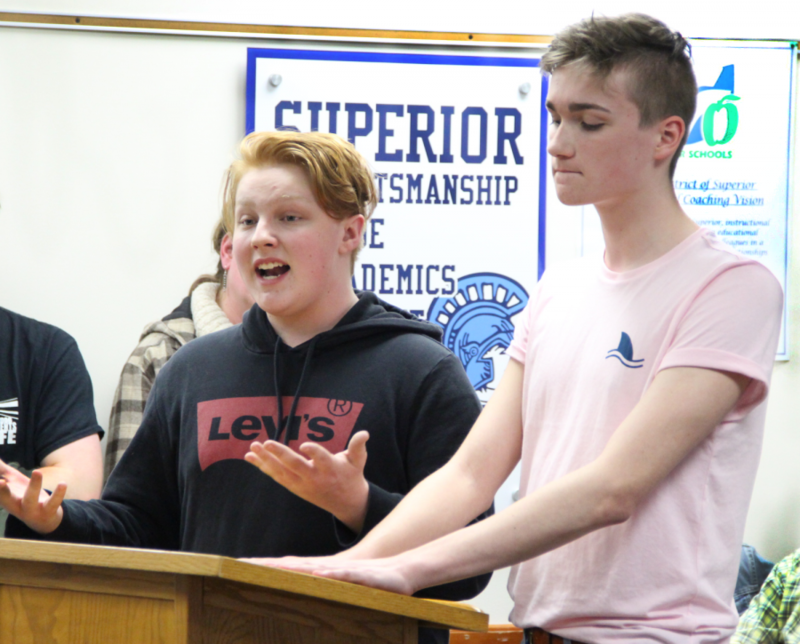 Junior Dylan Schelinder (left) and sophomore Thomas Chicka speak on behalf of the Gay Straight Alliance club at the school board meeting last night at the board office. This meeting had several students, community members, and parents who spoke on the new enforcement of a district policy prohibiting clubs from displaying information in the Spartan Commons during school hours. Many community members came to speak at the Superior School District Board Committee of the Whole Meeting last night about problems such as trash at school bus stops and teacher health insurance. However, what brought in the majority of the individuals – so many that they filled every seat, the hallway outside of the meeting, and the floor space – was the newest guidelines set forth in Policy 5722: Student Publications and Productions. 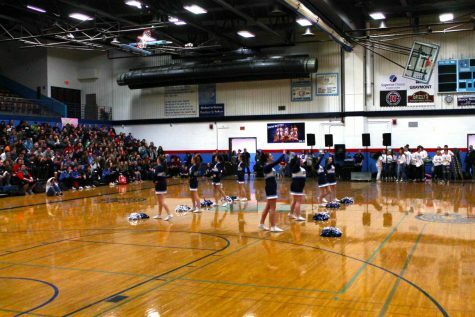 According to District Administrator Amy Starzecki, a series of complaints had been made regarding various presentations and displays of information at the high school. Last spring the board reviewed these complaints and Policy 5722: Student Publications and Productions. 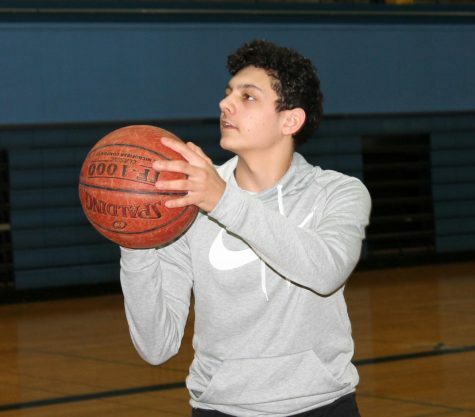 “Before (spring) break the assistant principals (and) the principal reached out to me and said, ‘Hey, we need a plan here, its continuing to disrupt, and it’s getting worse.’ So that’s when we reached out to our school attorney,” Starzecki said. Starzecki addressed the Superior High School issue briefly following the “Informational Items” portion of the meeting to the Committee of the Whole last night. This statement was not originally listed on the agenda. 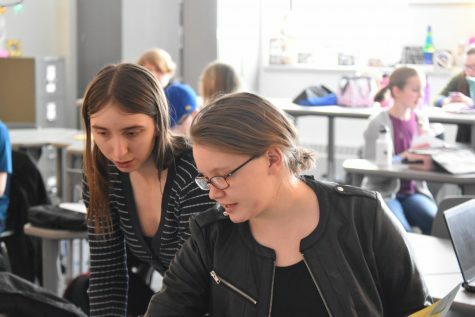 However, Starzecki gave the update to the board as she knew members of the community, including students and parents, were coming to speak out on the issue. 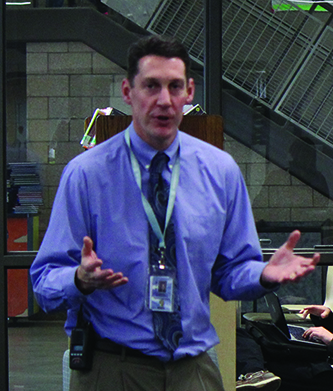 Starzecki explained in an interview after the meeting that this plan was put in place – until a better policy can be formed – in order to temporarily fix disruptions that were happening during Lunch and Learn at the high school. “It wasn’t a policy change. 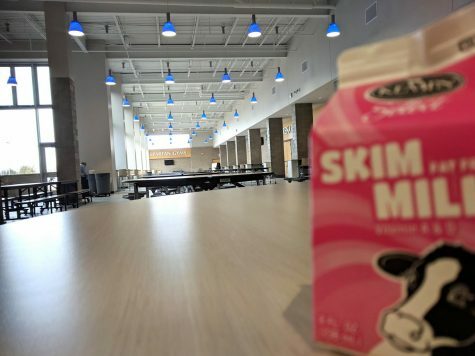 It was really how does the high school work during the lunchtime to create those expectations and kind of put a pause on what that looks like currently,” Starzecki said while addressing the school board and audience during the meeting. Starzeki said that she hopes a resolution can be made soon, but she is unsure if that will be by the end of the school year. At the meeting of the whole, members of the audience were given the opportunity to speak out about this issue near the end of the meeting. One by one a combination of about a dozen concerned parents, students, and community members approached the podium and shared their concerns. Students with different viewpoints shared the benefits of being able to display their club’s information. 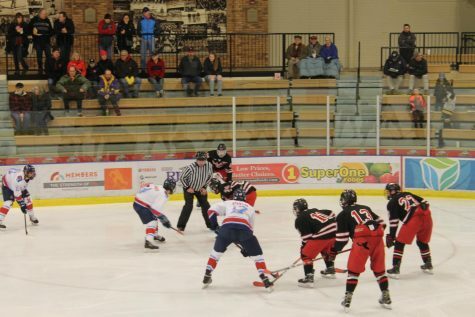 “Every event that we have done for the last two years has been approved and reviewed by administration. Yet our club has now been shut down from doing all events. 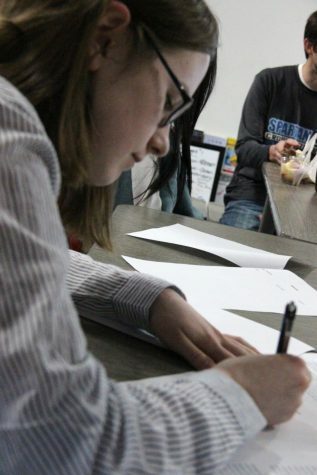 And I’m not naive to think that it was (not) our event that did cause this change, even if someone says it wasn’t,” said senior Noah Roe, president of the school’s Students for Life club. Students and parents who spoke at the meeting sought to be able to display their information at booths in the cafeteria during lunchtime. Ingrid Evavold, a parent of a senior, spoke on behalf of the benefit for lunchroom displays and distributions of club views and information. However, she went on to explain that she believed one club in particular, the Students for Life club, were stepping over the line by hosting adults from outside the school to speak at their booth in the cafeteria, thus, perhaps, creating a hostile or unfair environment to some students. Following the comments from the community Len Albrecht, School Board President, thanked everyone for speaking and ensured the crowd that they will be taking everything into consideration and going over their notes. 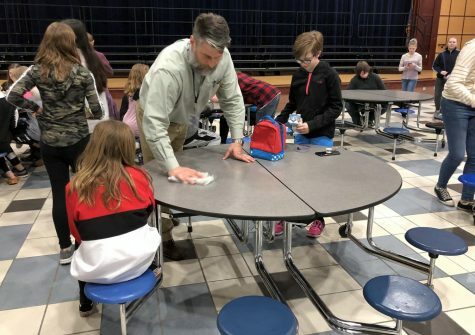 “I was really happy that a lot of people were there…it’s good that people are getting involved because I know that it’s easier not to be involved than it is to be involved,” said Willem McClellan, Co-President of Interact Club, in a post-meeting interview.